At Dealers Insurance Services we set a high standard for service excellence, consistently striving to best assist your company with its unique set of challenges. Our customized solutions reflect a continuing commitment to achieving the optimum solution for meeting your business needs. Our consultants will work with you to understand and identify the aptitudes and attitudes that are key to your organization in order to create a plan that will best achieve your objectives. Approximately 60 days prior to your renewal date, we will obtain updated census information, then contact carriers to obtain the best quotes. As a basis for future planning, we will work with you to determine what programs have proved most effective in the past. We will share our assessment of your program, then personally plan the service approach that will best meet your business needs. Once your expectations are established, we will design a plan to achieve your objectives. A service standard agreement will be executed and a timeline will be created to ensure the timely implementation of the agreed-upon plan. We will prepare a timeline for enrollment meetings at all client locations, overseeing the preparation of communications materials and the completion of administrative follow-up. We will also coordinate post-enrollment visits during the first 90 days to ensure a smooth transition. We will meet with you quarterly to evaluate the performance of your programs. We will prepare and administer a custom-tailored survey of your employees to determine their understanding and usage of your benefits program. We will offer results-driven seminars on a variety of topics, including human-resource issues, legislative changes and new technologies. We will assist with the implementation of a variety of health awareness events for your employees. We will set up and facilitate meetings with insurance carrier representatives to enable employees to ask questions and address problems face-to-face.on an ongoing basis. We offer a wide range of outsourced human-resource support with a focus on providing high quality, cost-effective administration. We will provide a feasibility study to determine if you will benefit from Section 125 and assist you in the implementation of a plan. We will assist in obtaining Schedule A forms, review the necessary information and help with the completion of signature-ready 5500 reports. We will help to design and implement an industry-competitive 401(k) plan, or review an existing plan to make sure that it is in compliance with Federal law. We design Employee Assistance Plans that give employees and their family members access to confidential personal counseling. Our review blends technical design and compliance expertise to evaluate your COBRA, FMLA, HIPAA, Employee Handbook, and other procedures regarding an employer’s legal compliance responsibilities. We offer full-service expertise in Life Insurance, Estate Planning, Disability insurance, Long Term Care, Estate Planning and Personal Insurance. Perhaps the most critical area of employee benefits is quality health care for employees that is affordable, comprehensive and readily accessible. Whether you have 30 employees or 300 employees we have a program to fulfill your requirements. Full Indemnity plans: Allows your business to select various levels of deductibles before reimbursement by an insurer. These can begin at the Doctor visit level and extend to hospitalization plans for serious illnesses. These plans can be geared to your company’s needs and economic circumstances. Health Maintenance Organizations (HMO’S): A Health Plan that focuses on the primary doctor. Employees and their families select a primary care physician convenience to their residence or work place. The primary doctor can then coordinate the physician services starting with routine physical exams, blood tests, diagnostic testing, etc. When a specialist is needed the patient is directed to the most appropriate physician. Hospitalization requirements also are guided by the patients needs but are usually very comprehensive with unlimited maximum coverage. Preferred Provided Organization (PPO): A PPO allows the employee/patient to choose from a vast number of physicians and specialists in Provider Directory. He or she can then access these physicians by making an appointment and paying a predetermined co-pay dollar number of $10.00/ $15.00/ or $25.00 per visit. Hospitalization is usually in a Directory Hospital on referral from a pre selected physician. The costs are pre determined based on plan limits in and out of the hospital. The above plans may pay prescription card benefits, mental health and drug dependency services, dental coverage and other benefits. May be either individual or group programs. On a group basis minimum participation of lives is established and each employee can acquire a Life Insurance benefit based on a pre determined formula. Premiums can be pre tax based on Section 125. On an individual basis an employee can be provided various plans of Life Insurance to fulfill the personal and family needs. Both Term life and permanent life plans are available here with some plans offering substantial cash equity build up tax free as well as voluntary accident insurance. 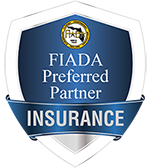 Accident insurance can be offered either as part of the life insurance program or as a stand alone product. Various levels of accident coverage up to millions of dollars are available on any kind of accident whether motor vehicle, train, plane or bus. This plan is also available as part of the Section #125 plans that are tax advantaged. .
May involve benefits for specialized conditions such as cancer plans, stroke, heart attack plans, etc. Pays per diem hospital benefits up to a predetermined maximum $100, 150, 200 per daily benefit. Also there are now critical illness health plans available which cover critical illness hospital confinement. Usually these coverages pay a daily rate for hospital confinement $50.00 daily is a typical rate with a maximum number of days, (50 days) and also pay maximum benefits for a critical illness like cancer, etc. of $80,000 or more. Discount, DMO, and Indemnity dental plans are offered on a group and individual basis. We offer a choice of deductibles, calendar year of benefits maximums and coinsurance amounts. A combination of all these plans may be offered. Plans involving vision analysis, lenses and frames or contact lenses are available. Usually a deductible is satisfied before benefits are payable. Benefits are paid depending on the type of vision analysis, lenses, frames and contact lenses prescribed. Available for groups on a list bill basis. See Long Term Disability. Available for individual groups of 10 or more employees on a list bill basis for various elimination periods and benefit periods. Accident/sickness are considered in the elimination period. Elimination periods of 30, 60, 90, 180, 365 days. Monthly maximums $1000 to $15000 available. Based on a percentage of earnings, classifications and occupation. Up to 50%, 60%, or 66% of weekly earnings. 13 or 26 weeks plan durations. Elimination periods of 1/8, 8/8, 5/15, 30/30. LTC provided on a group and and list bill basis with selected carriers.